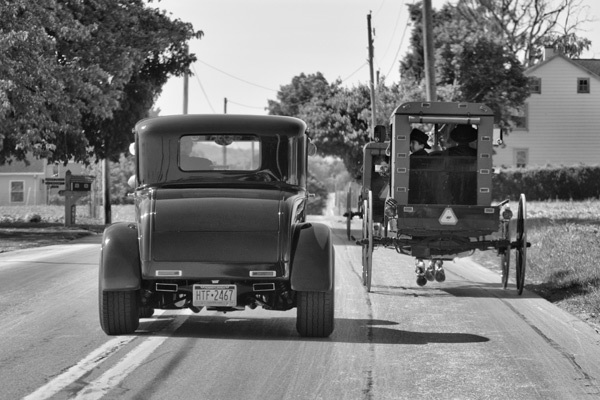 A classic car cruises the back roads of Lancaster county and gets the attention of an Amish boy in the buggy. 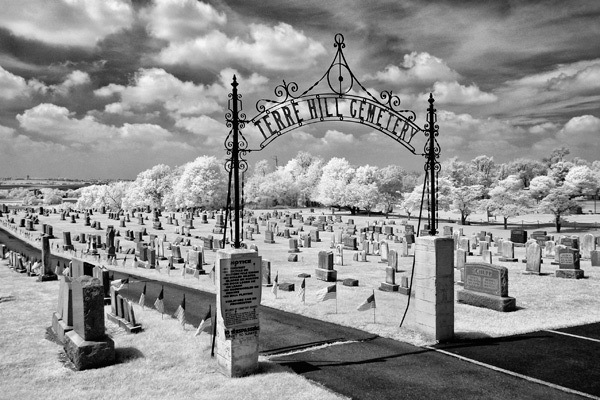 Infrared photography lends itself to cemetery images due to its dreamy effect.I shot this image because the ornate wrought iron entrance caught me eye. 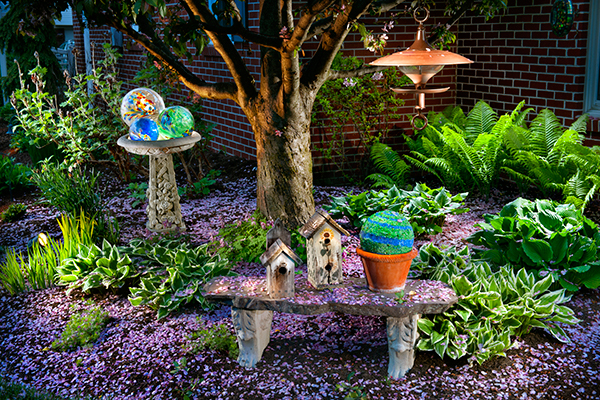 This is one corner of our garden and after the tree dropped all of its colorful flowers last week and blanketed the ground in pink petals,I decided to get the camera out and light the scene.The three gazing balls were placed into the bird bath and backlit to show their color and this shot was one of only one or two I took this spring. 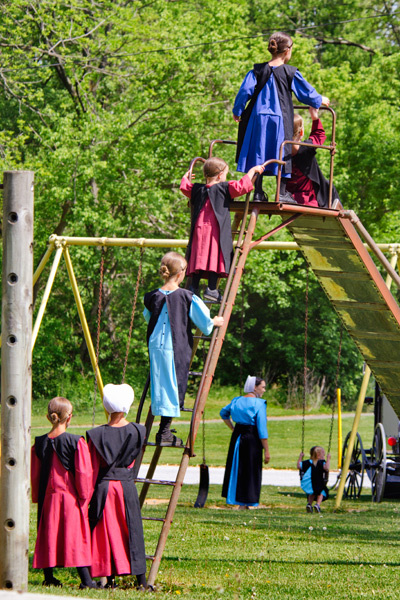 This past thursday was Ascension day and the local Amish and Mennonite communities spend the day relaxing and socializing away from any work related activities. 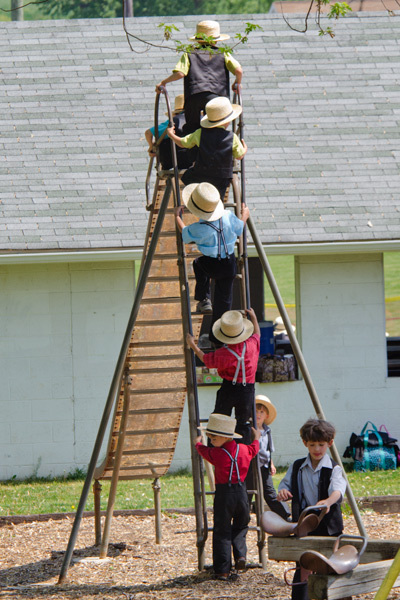 These two photos are of Amish children ascending the ladder on the slide at a local park. 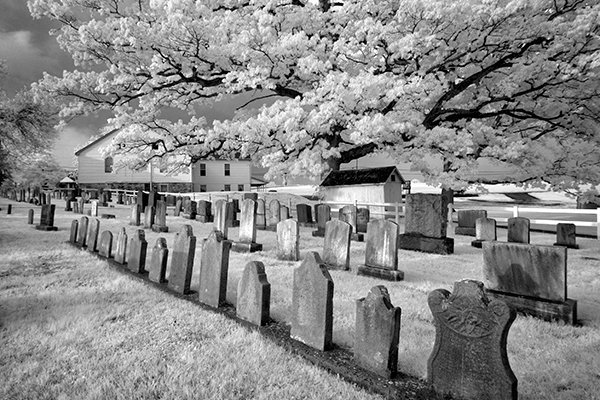 Ascension day commemorates Jesus ascension into Heaven and is celebrated 39 days after Easter. Not my typical photo subject but since I made it,I Figured I would share it. We live beside a rail trail that is almost finished and after years of planning,debating,arguing and worrying,the trail has turned out pretty nice after all. 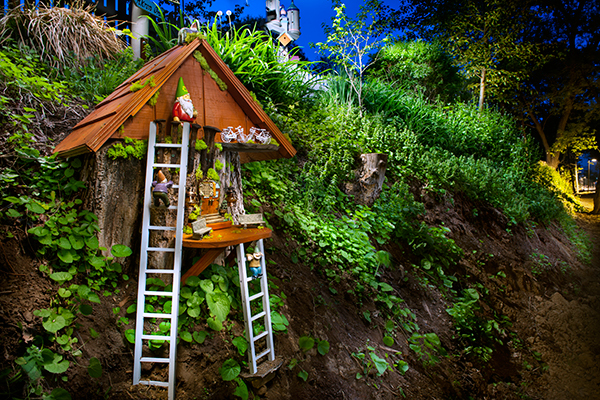 Our property is at the top of this hillside and since we had this old stump sticking out on the hill,I figured I would build this little gnome home to give trail users something to visually enjoy. I made the roof,ladders,balcony and added some tiny benches,bikes,gnomes and railroad spikes to commemorate the old railroad that once ran here.So far everyone that sees it really has enjoyed looking at the little imaginary world where tree stumps are homes. 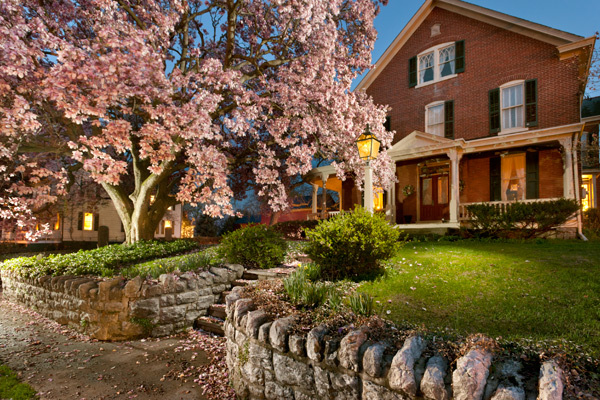 I shot it at dusk and lit it with my spotlight. 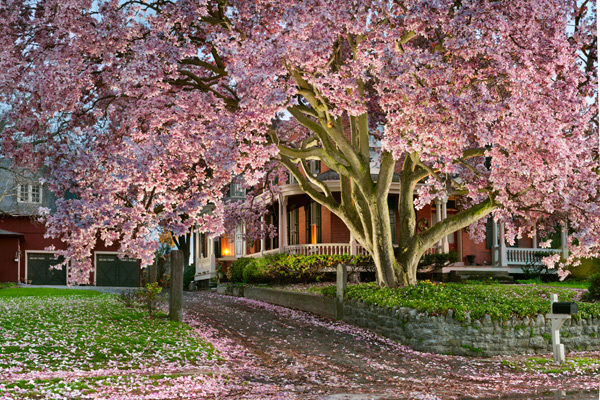 This graceful magnolia tree was in full bloom recently and the owner left me venture into the yard to light the shots with my flash at dusk.